Michelle Obama on the Cover of Vogue. 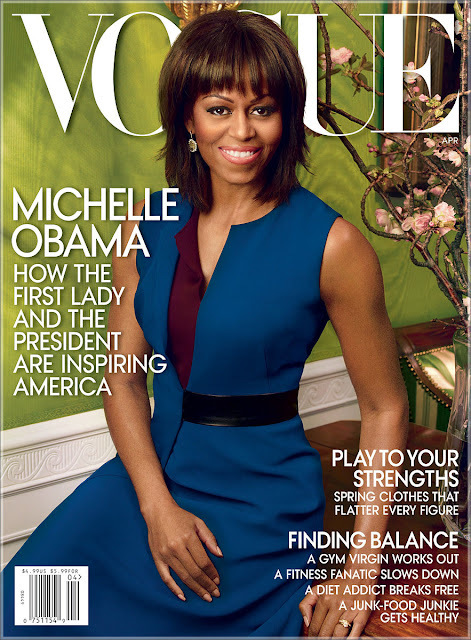 First Lady Michelle Obama is on the cover of Vogue. The last time she covered Vogue was in 2009, a year after Barack Obama won his historic first term in the White house. She’s wearing a Reed Krakoff dress on the April 2013 cover. In the in-depth article, Mrs. Obama, and her husband Barack, discuss their lives together and how his presidency has drastically altered the dynamics of their marriage.